A number of countries are looking for partners in space. Here’s why India and Russia have the synergies that others lack. Nobody wants to be lonely in the final frontier. In an era where funding is as scarce as water on the moon, the once leading space-faring nations are scrambling for partners. India is one of the players being courted by the big three – NASA, Russia’s Roscosmos and the European Space Agency (ESA). While the big three have plenty of experience and grand plans for the future, they lack something that India has – a bottomless pool of scientific talent. And that’s a big deal in the space industry today. The aerospace industry operates on such a vast scale that it requires prodigious numbers of scientific and technical personal to complete various – and often overlapping – projects. India’s highly subsidised university system and the importance given to science and mathematics by Indian families ensure a steady supply of technical graduates in numbers that the West can only dream about. In the West, the recession is driving youngsters away from science degrees simply because there are not enough skilled jobs at the end of the course. The decline in the youth population in Europe and Russia will also impact scientific institutions in the decades ahead. While the United States has long depended on immigration to fill the talent gap, the rise in wealth and opportunities in India and China, NASA’s two biggest sources, means America cannot bank on foreign talent in the future. Partnering with India, therefore, seems like the perfect get-out-of-jail card. Unlike China, India does not indulge in espionage at scientific establishments in the West. Its personnel are scientists – not spies. Now there’s nothing wrong in alliances and teamwork, but there’s one thing ISRO must not do – choose the wrong partner. Space is an area of strategic importance, and as they say in the military, a mistake in strategy cannot be undone in the same war. The single biggest reason to go with Russia is that India can be the inheritor to Russia’s legacy in space. Russia’s space industry is vast but its population base is too small to support it. 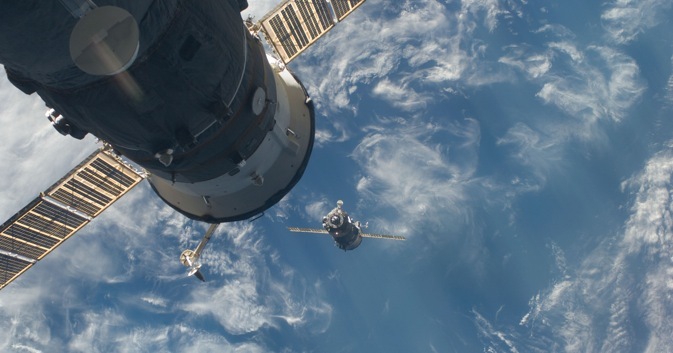 The average Russian space scientist is in his 50s – not a positive trend for the future. For Russia, ISRO can be a lifeline as many of the projects it can’t handle can be farmed out to India. Also, Indian scientists can be sent to work in Russia’s cutting-edge research labs that are off-limits to non-Russians. Trust is a key factor here. The Russians wouldn’t trust NASA or the ESA anywhere around their research facilities. There is a lot of red hot technology locked away in deep vaults in once secret Russian cities. ISRO alone can be trusted to inspect and develop these technologies. This is because India is unlikely to become Russia’s geopolitical or economic rival so any technology that is exchanged between the two nations is in safe hands. That sounds pretty close to the truth. How’s this for comparison – India’s most reliable rocket, the PSLV, which launched its first lunar mission, can lift 2000 kg, whereas Europe’s Ariane 5 is able to launch 10,000 kg into space. NASA knows India has beaten every technology embargo by reinventing the wheel. Every little nut and bolt that was available to its NATO allies but was banned for India, is being manufactured by ISRO and its contractors at home. NASA, therefore, knows India will sooner than later perfect its heavy lift rockets. So why does NASA want to partner with ISRO? One, India could play the very public – and very low tech – role as a launcher of American satellites and spacecraft. In return, NASA might offer a few dollies to India like low tech instruments, like the Moon Mineralogy Mapper, of no strategic value and which Indian laboratories can develop anyway. Another reason could be to keep India away from Roscosmos. India’s biggest strengths are in high-tech instrumentation and satellites. India not only has the largest constellation of remote sensing satellites orbiting the earth, it also has plans to create a satellite navigation system that will rival the American GPS. As well as super heavy-lift rockets like Energiya, the Russians were the first to develop landers and rovers that traversed the lunar surface before the Americans got anywhere close to the moon. Lately, Russia’s soaring ambitions – epitomised by the Phobos Grunt mission to Mars – have come to be terms with gravity, but that’s precisely because Russian instrumentation has fallen on hard times. In such a scenario, the two countries are perfectly placed for tangoing in space. In December 1982, ISRO set up a Cryogenic Study Team to develop cryogenic engines – which use a blend of super-cooled oxygen and hydrogen – needed for large spacecraft. The only way to master this rarefied technology quickly was to import it, as reinventing the wheel would have taken decades. Only four countries, the US, Japan, France and the Soviet Union, had this technology. The first three backed out but in January 1991 ISRO signed a deal with Russia to buy two cryogenic engines and the technology to develop them in India. Delivery was quick. The Russians supplied the cryogenic engine that had been developed for the massive N1 rocket, which had been developed for their aborted manned mission to the moon. But as soon as ISRO and the Russian scientists got down to work, under pressure from Washington, Moscow backed out. ISRO then decided to go it alone – armed with Russian blueprints and seven ready-to-fly engines earlier supplied by Moscow. Although India still hasn’t mastered cryogenic technology, ISRO engineers learned to deal with new materials and manufacturing methods. The moon is a lot wetter than we thought. According to Science magazine, conclusive proof of the presence of water molecules was delivered by India’s Chandrayaan-I spacecraft which mapped the lunar surface for 315 days in 2008. It was a spectacular success story, but that’s not where the story ended. Enter NASA. First, the American space agency said the data on the presence of water molecules on the moon was gleaned by Indians with an instrument provided by NASA. The Americans then upped the ante. In November 2009 NASA announced its Lunar Crater Observation and Sensing Satellite, or LCROSS, had found water on the moon. The upshot – the rest of the world elided India’s role in the discovery. Believe it or not, India’s first lunar mission is slowly being erased from scientific, media and popular discourse. Clearly, credit is not about who got there first – as Christopher Columbus would agree – but rather who is able to smother the earlier claims. Sure, the implementation of American-style project management and quality assurance techniques can work wonders. It has led to impressive successes like the moon shots and the Voyager spacecraft, one of which recently became the first manmade object to exit the Solar System. American failures in space have been rare lately, pointing to a high degree of professionalism at NASA. But as in the Chandrayaan-I episode, it’s hard to see NASA treating ISRO like an equal partner. Indeed, shortly after the successful launch of Chandrayaan-I in October 2008, ISRO told the media that many space-faring nations have become wary of India’s rapid advances in space technology. According to the organisation, its scientists and engineers work in a “hostile environment” with other countries sharing little information and expertise. That won’t change – not if you choose the wrong partner.